University of Toronto offers an option for students that McMaster should start looking into. The credit/no credit option allows students to designate certain courses to show up on their transcript as either a credit or no credit as opposed to the GPA being shown. Students may select up to two credits out of the 20 needed to graduate at University of Toronto. This applies to degree students at all University of Toronto campuses, including University of Toronto, Mississauga. The equivalent to this at McMaster would be being able to use the option for either four one-term courses, two full-year courses or a combination of both. This mode of assessment can be applied as long as it is no later than the last day to drop the course. In order to achieve a status of Credit (CR), students must have a final mark of at least 50 per cent. Marks that are below this requirement would be assess as No Credit (NCR). Courses with a final status of CR will count still qualify as degree credits and will have no effect on student’s GPAs. The only possible downfall is that though the courses will not affect students’ GPA, they would count as Distribution Requirements and degree credits, but can not be used to satisfy program requirements. Courses with a final status of NCR do no count as degree credits, but will not count as failures or factor into GPA calculations. This is an effective option for students that McMaster should consider making available to students. Not only would it take away the stress of receiving a poor grade in a course, but it would also prevent students from having to worry about explaining why they have a “W” for withdrawal on their transcripts if they need to drop a course. 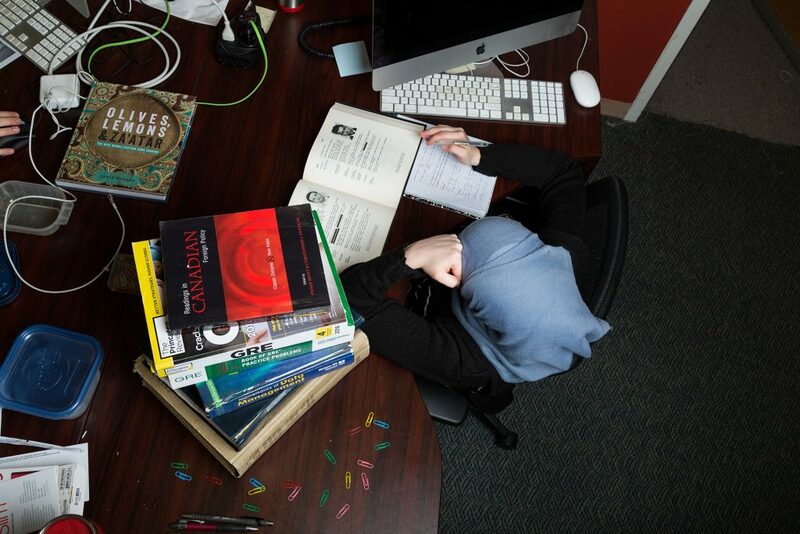 Given that the usual course load for students is 15 credits in one semester, the stress of a full course workload would be diminished and students would be able to invest in the course content more thoroughly instead of having to worry about merely getting a grade that would satisfy a required GPA. In addition, it would allow students to experiment in different academic areas that they may not be familiar with or consider taking courses out of interest without worrying about excelling in it or the grade that might appear on their academic record or transcript. Courses with a final status of CR will count still qualify as degree credits and will have no effect on student’s GPAs. It would also allow students to take a course without worrying about severing their reputation with the professor, as the professor would not know which students are taking the course for CR/NCR and which are taking it for the grade. If, for whatever reason, you have declared NCR in the course and you end up deciding that you want the grade instead, you would also have the option to undo the designation up until the last date to drop the course. As emergencies and life often get in the way of work when we least expect it, this would be an effective option. It would allow students to maintain their GPAs and still manage to swerve what life throws at us. Although McMaster does offer the option to submit a McMaster Student Absence Form, this option addresses concerns that an MSAF does not cover. For full-term courses that are more difficult to escape, the Credit/No Credit option would allow students to not have to commit to a course they may not enjoy and drag on for two semesters. This mode of assessment addresses areas the McMaster University has yet to. As exam season nears, I can’t help but think how this option could have saved me for some of my courses and I’m sure that many other students feel the same way. Reem Sheet's name alone indicates she is meant for a career in journalism. A second year English and Philosophy student, she is the Opinion Editor for Volume 88. An avid writer and volunteer (to the point of volunteering for an organization that organizes volunteers), Reem is firm in her opinions and takes great pride in having a lot of them.